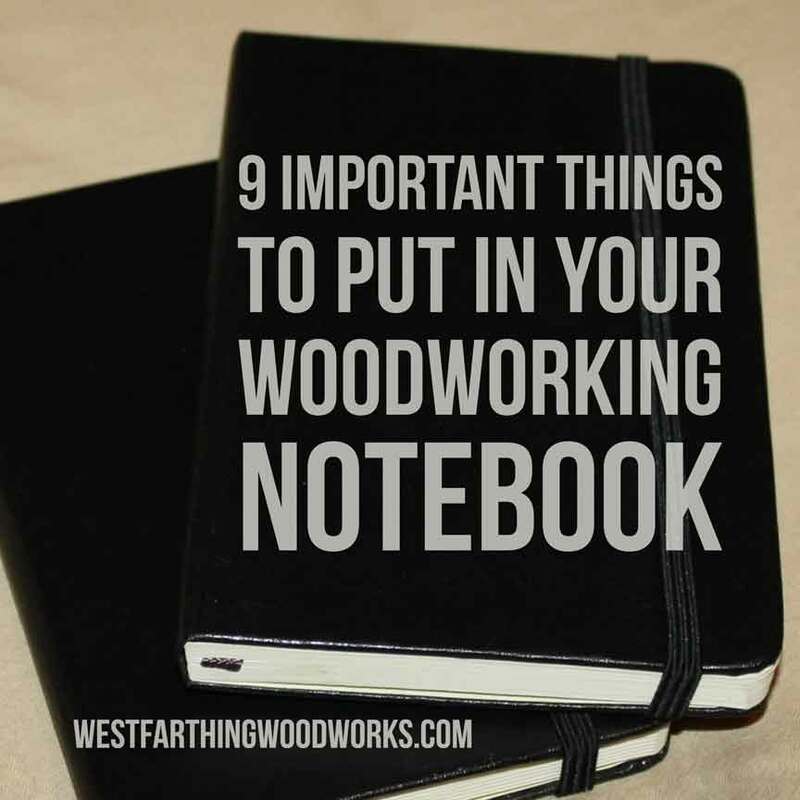 These are 9 Important Things to Put in Your Woodworking Notebook. These nine things will ensure that your notebook is filled with great ideas, and that it’s a pleasure to go back through in the future. Start adding a few or all of these to your notebook. Here they are. Here are the 9 things that you need to put in your notebook. They are all important, and they can all create a notebook filled with great information. After all, you want your notebook to become a resource that you can go back to over time. If you keep it well stocked with good information, you will create just that. This is of course not everything you can put inside your notebook. This is a good mix of things that you can add to over time. Start by doing these, and others will come to you as they become important. 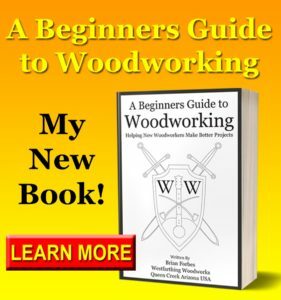 I talk about this topic in A Beginners Guide to Woodworking: Helping New Woodworkers Make Better Projects. Ideas that you get throughout the day. Full drawings of your projects and project ideas. Notes about how each project turned out. Things you would change about a project. Dates on all of your entries. Ideas are fleeting. If you do not record these ideas, you will lose them. This is the nature of ideas, and how they can become lost if you are not careful. This is one of the most powerful things you can put in your notebook, and here is why. 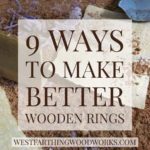 The ideas that you have are what is going to set your direction in woodworking. If you have a great idea come to you, and then forget it by the end of the day, you might as well have not had the idea at all. When you use a notebook to record your ideas, you can revisit them later without worrying about losing them. You will be able to filter them better, combine them better, and never waste another great idea again. As you build, you will have a set of measurements that you use. Once you are done, those tend to end up in the trash. A year down the road, if you want to make the same thing again, you will have to start all over. Not if you use your notebook. Your woodworking notebook is the perfect place to record your measurements, as well as any changes you make to the design. All you need is to write them out like a cut list, or draw the project and include the measurements. In the best case, you should do both. Draw the project from a couple views, and then include the measurements. Also, copy your cut list to the next page, and you will always have the information you need to create the project again. See Also: 52 Woodworking Tips Cards – A Free PDF that is full of woodworking tips. Resist the urge to sketch something out on a napkin, your woodworking notebook is the perfect place for drawings. When you get an idea, and you need to give it some life in the form of a drawing, put that in your notebook. Drawings and ideas work very well together. A drawing gives a visual interpretation of an idea, and sometimes makes it easier to follow through. A drawing can lead to more ideas, and help figure out parts of your design that you didn’t know needed the help. Don’t worry about the drawings you will keep and the ones you will not. Even if you don’t make the project, keeping all of your sketches is a good practice. The project might not make sense now, but you have no idea what a year or two will bring. After each project that you make, once you fill in the drawing and the cut list, take a minute to fill in some notes. This is essentially a post project synopsis, the good, the bad, and the things you wish went differently. 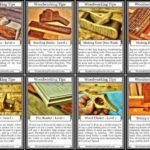 The notes section is your time to add in some commentary about the nature of the project, the materials used, and the methods. If you liked something, mention it. If you hated something, mention that too. The point of writing this all out is that it gives you some time to digest it all, and gets you thinking. The bad points are really where you will grow, because it will get you thinking about how to better them for next time. If there are things that you would change about a project, your woodworking notebook is the perfect place to put them. At the end, near your wrap-up, mention the things that you want to do differently next time. Maybe the species was not as good as you hoped? 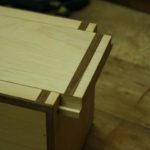 Maybe the joinery method was time consuming? Maybe the finish made the piece look awful instead of great? It’s time to write these things down so you don’t do them a second time. A year from now, you might not remember much about your project. In cases like this, it is easy to make the same mistake a second time. To avoid this, make sure to write down the things you would change, and what you would do instead. Problem and solution. Sometimes project ideas will come to you, but you will not be ready for them. You might not have the skills yet, or you might not have the tools. Ideas like this are not going to stick around unless you ground them in your notebook. It’s a shame to forget about a great project all because you didn’t write it down. A future project can be a life changer, especially if it becomes something that you end you making several more times. Write these things down while you can remember them. If you can, put a projected date or trigger for the project. Maybe you saw something that was made on a CNC machine, but you do not have one. The trigger for this project would be buying a CNC. This is opposed to a cooler weather project that maybe you trigger with the month of October. Finishing is a complex art…if you make it so. When you are creating your unique finish masterpiece, it is very important to write down the steps. 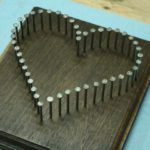 These steps are what it takes to create the finish that you call your own, and are perfect for your woodworking notebook. A finishing schedule is basically a step by step process for applying a finish. It can be with as little as one product, though many times there are several. Write out your schedule just as if you were going to have someone else do it. Sometimes you can make the mistake of thinking you are going to remember what you mean when you write something cryptic. After all, you wrote it, why can’t you remember it? If you write the directions like someone else will have to follow them, you will have a much better chance at not forgetting something important. See Also: 10 Step Guide to Wood Finishing – Your complete guide to hand finishing. Do you brew your own? Making wood finish is an uncommon practice, though there are still some that dabble in the mystic arts. 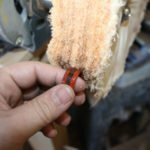 If you are thinking about making your own finishes, know that it’s dangerous, and take every precaution you can. For those of you that are already formulating and creating finishes of your own, your woodworking notebook is the perfect place for the details. Ingredients, methods, and ideas can all go inside. Modern finishes are pretty amazing, but there are still people that want to make everything they can themselves. There are options and supplies for the job, just look around and be careful. The last thing you want to record in your notebook is how the house burned down. This is something that you will need to do on all of your entries. Get in the habit of adding the date at the top every time you write. This way, you can follow the timeline of your project, your ideas, and your personal growth. The dates are going to serve as a reference point for you when flipping around, but they are also going to mark your progress. The dates are going to tell you where you were, and what you were making. They will also help you see how you develop. One of the coolest features of the woodworking notebook is when you fill it up and get to go back and look it over. The progress is much more amazing to see when it’s all grouped together. You will surely smile when you go back, as long as you take the time along the way to fill your notebook with all of your best ideas. 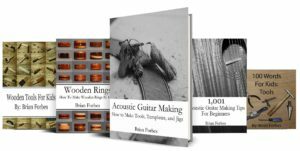 Since all woodworkers are unique, you will surely find more things that you want to put in your woodworking notebook. That’s great! Start with the things that I have already shown you, and you will naturally figure out anything else you want to add. Include everything that you think is important. Ideas, drawings, measurements, and all the important data that you need. When you have to reference your notebook, it will be a treasure trove of woodworking ideas and inspiration. 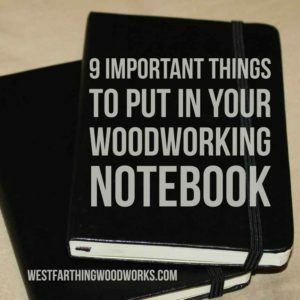 If you have any questions on 9 Important Things to Put in Your Woodworking Notebook, please leave a comment and I will be glad to answer them. Happy building.